Graphics attract people more than text. Having a flash website is the best way to grab visitors' attention through systematic arrangement of attractive animation, images, videos, and sounds. Web pages designed using flash technology are vibrant, highly graphical, and dynamic. Although creating such pages is quite expensive, we provide economical flash web design with unmatched creativity and superlative quality. 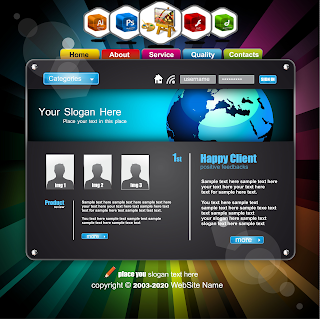 Creating attractive flash web pages is a skillful art, learned and practiced perfectly by designers at Sami Web Design. We design pages that will stand out from your competitor's and attract enough visitors by engaging them in eye-grabbing outlay. The information would be yours, idea would be ours. Purpose would be yours, execution would be ours. In short, it would be a customized flash website, serving your purpose effectively. Flash websites are considered to be not-so-search-engine-friendly websites. We at Sami Web Design, however, know the ways and possess the required tools to integrate flash design with HTML content, which makes it easier for search engines to grab your data instantly. Besides, expert techniques used by us can help you to improve ranking among various search engines effectively. Even if you have the best content on the web, most visitors wouldn’t navigate to pages other than your home page, if it’s not attractive, attention-grabbing, and easily navigable. If such is the case, it’s time to contact Sami Web Design.